This service gives customers the extra piece of mind that their boats are being continually looked after at times when they are unable to be there. Boats are checked on a weekly basis whilst in Pwllheli whether the boat is berthed or stored ashore. The service includes the visual inspection of fenders, ropes, sails, deck and safety gear and interior condition check as well as the supplying and delivery of chandlery items to your boat if required. Should anything become astray then we shall contact you to notify you of any problems and then these can be put right so that you do not have any surprises when next visiting your boat. In conjunction with the mainstream marine insurance companies such as Groves John and Westrup, Noble Marine and Navigators & General Firmhelm are recognised as one of the leading repair yards and it has been recognised recently by being appointed as one of only a few select yards in the UK to become part of the “Preferred Repairer Scheme” for Navigators & General who insure a high percentage of marine leisure craft in the UK. 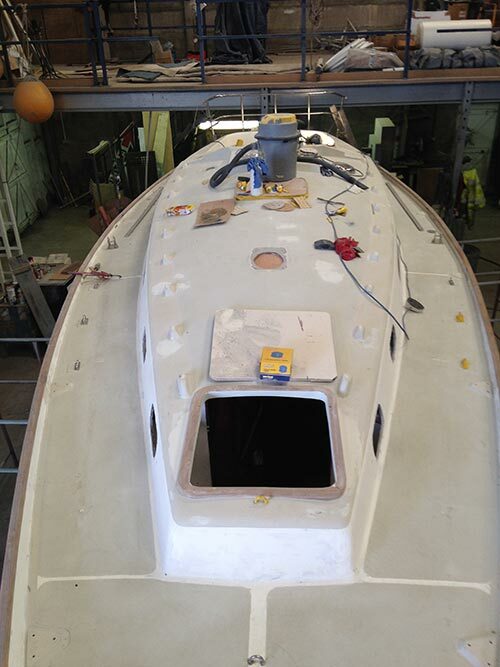 Through this scheme insurance claims can be dealt with efficiently and effectively with many of the normal headaches taken away from the boat owner and the repairs can be carried out in a timelier manner. Please contact us for further details..